How did everybody spend their long weekend? 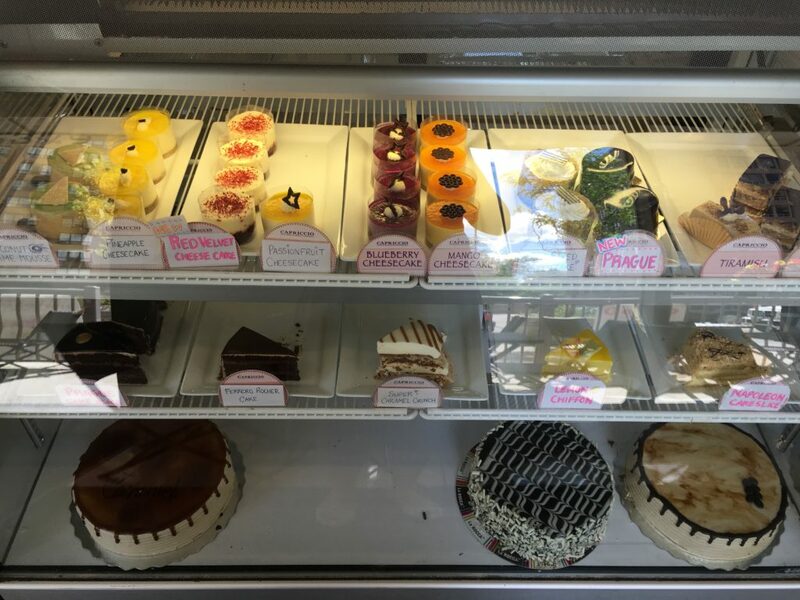 As I’m typing away on a Sunday afternoon, I find myself at Capriccio Cafe – a cute little cake and coffee shop along the Yonge/Finch strip. I’ve passed by numerous times during the evening when I’m in the area (which is not as often as I’d like to be honest, as I’d really like to live closer to here and the yummy food! ), but it’s actually my first time sitting down, with my laptop and books in hand. It’s a quiet day, with few patrons, PERFECT for getting work done! Capriccio Cafe often gets busier in the evening as they open until 11pm. The cafe has been open for 6 years now, and I just love the ambience, decor and environment inside. 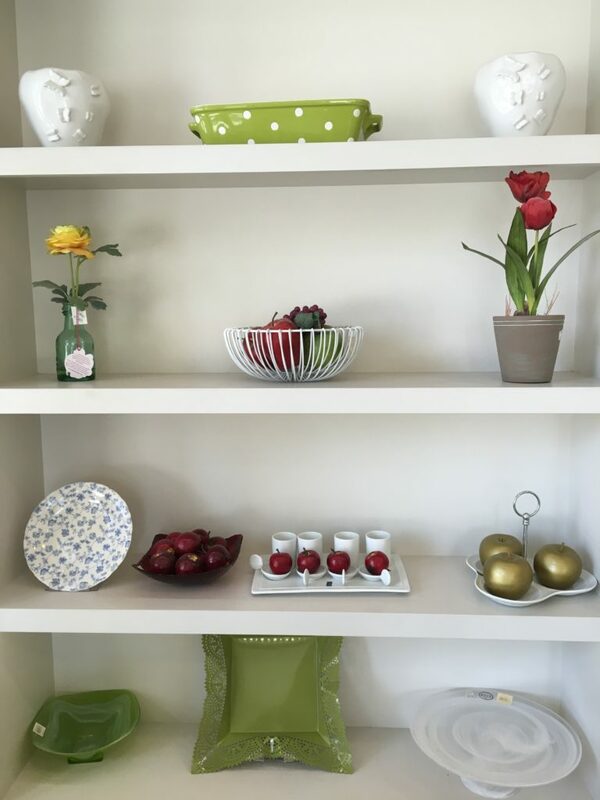 It reminds me of a cute kitchen and family area, with plates, and bowls and other kitchen trinkets adorning the walls. 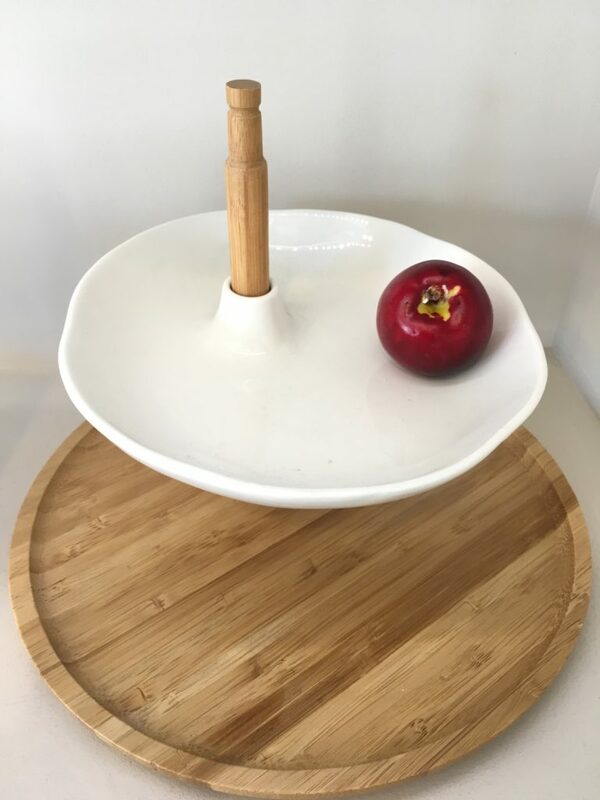 What you see on the shelves are for sale – so not only do you get to sit down with your dessert and drink, you can also do a little shopping if you spot something you fancy! 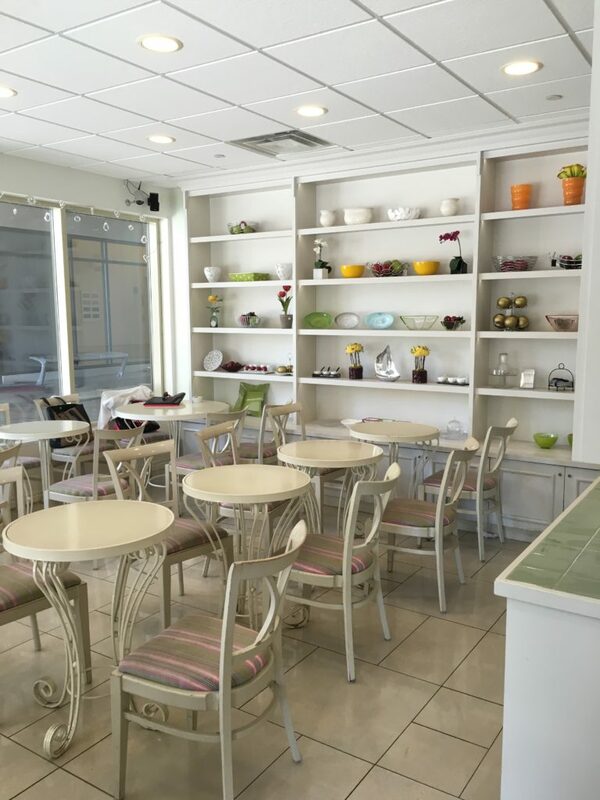 What makes Capriccio Cafe different from the rest of the cafes along the strip? What’s unique about Capriccio? There’s a lot of bubble shops in the area. We wanted to stray away from that and focus on coffee – which there is not much offered in the area. We secured a high quality espresso supplier – as we wanted to provide our customers with the best coffee experience possible. We are practiced in making the perfect cup of cappuccino and latte, and our customers love that we are skilled in latte art. 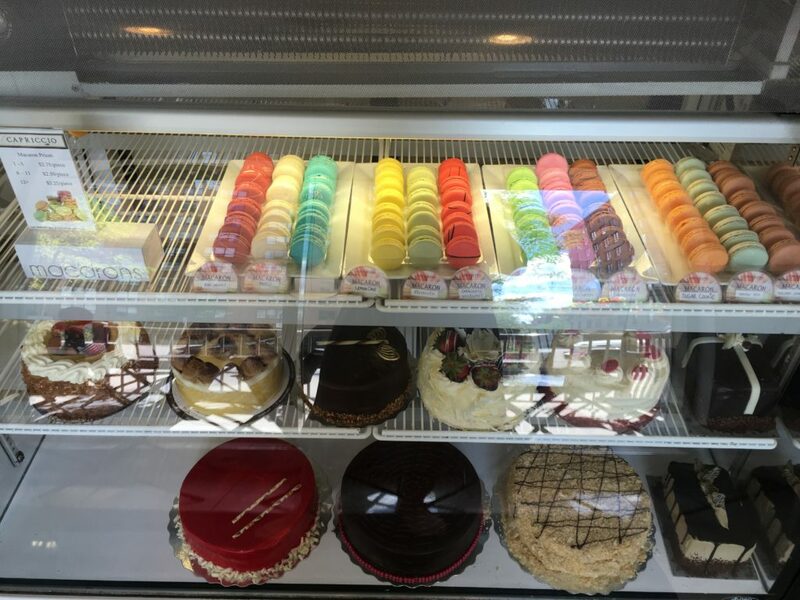 We also offer macaron, which is a huge draw for us – it’s not something that’s readily available in this area. In terms of customers, are they mainly take-away or dine-in guests? Do you find that the cafe appeals to a younger crowd of students or is it a mix? Would you say the cafe mainly appeals to people who live in the area? Our dine-in customers are mostly students who like to study. We also have professionals who hold business meetings here. But mainly, our customers do take-away and get their coffee to go. What are the most popular things that people order here? Latte, espresso, macaron. And in the summer, gelato is very popular. It’s offered in the spring, summer and fall (just not in winter). What seasons is the cafe the busiest? 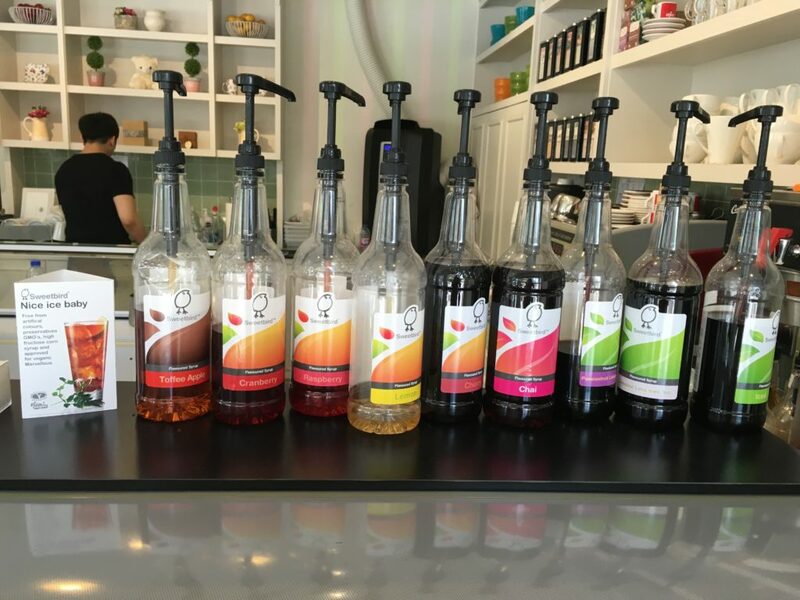 Do you offer special drinks pertaining to the seasons? Do you find that people tend to make purchases on the wall items or just on occasion? How do they like it – no pressure selling environment, any feedback? We find that customers like to look at the decor along the walls. Sometimes when they come to pick up a cake for a birthday, they also choose a gift to go along with it. What’s the most rewarding part of being a business owner? What are some of the challenges you overcame? 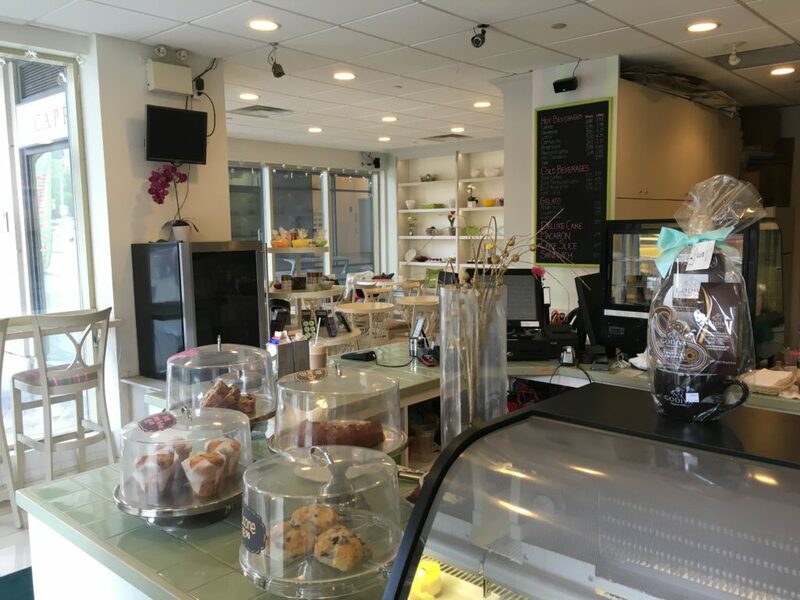 I’m very passionate about coffee (practicing latte art and cappuccino), and I love being surrounded by dessert (we are a retailer of desserts). It’s a family business and I’ve grown up in the cafe business my whole life. There was definitely some learning curve in the beginning when we took over the cafe from the previous owner and we had to pinpoint areas of improvement, make a plan and take action. Running a cafe is something you can only learn through experience and not something that you can learn through textbook studies. You have to be creative and know how monetize your business – we’ve improved processes, reduced wastage and changed the pricing on the food and drink items. We’ve found that the cafe became a lot more profitable after successful implementation of these changes. 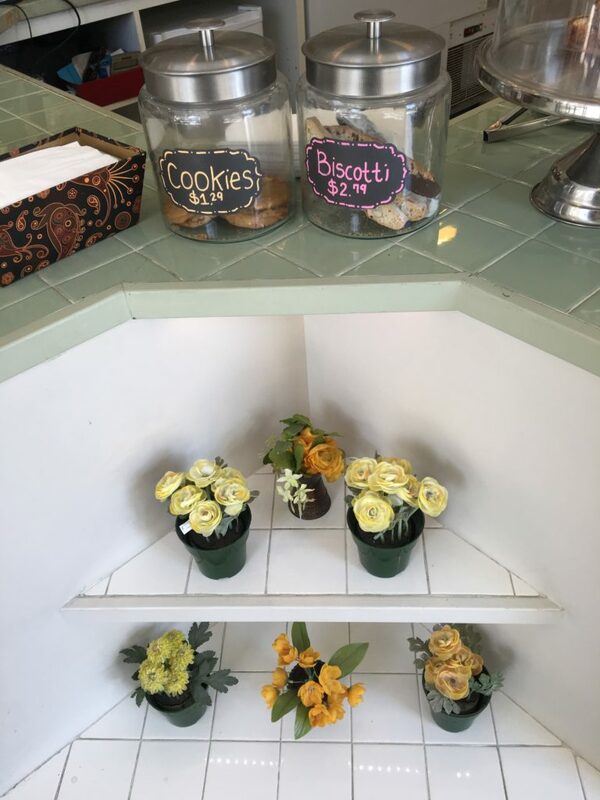 What advice can you offer to someone who is looking to open their own cafe? You should know your coffee, you should learn as much about coffee as you. The quality of espresso bean is very important. Offer good desserts, and make sure that what you are offering has a good turnover rate. With anything that involves food, waste is very important (it can make and break business) and inventory control is something that you need to manage constantly. There’s some common sense needed in running a business, but it has definitely helped that I had experience working at cafes when I was younger. How do you keep your staff motivated, as we all know customer service is important to customers, and it is your staff that is interacting with them on a daily basis? Compensate your staff fairly, treat them with respect. There has to be mutual respect – and that respect must be earned. We have 8 staff members and we treat them well and we don’t overwork them. They’re happy to be here, and we’re happy to have them here! Has it ever been closed for private parties? Is this a possibility? We’ve had baby showers and seminars here and also had television sets approach us. We operate on a per event basis and it varies accordingly to the requirements. We are pretty flexible in terms of a weekday rental – we just ask that everyone purchase food and drinks. However, the weekends are typically busy, especially Saturday, and we may ask for a deposit to secure your party. We require a week’s notice. Thanks so much to Aaron for taking the time to chat with me! I was definitely a bit nervous to ask so many questions, but also excited, as I know that many of you would be interested in something like this! We definitely look forward to chatting with more small business owners in upcoming posts. Stay tuned! 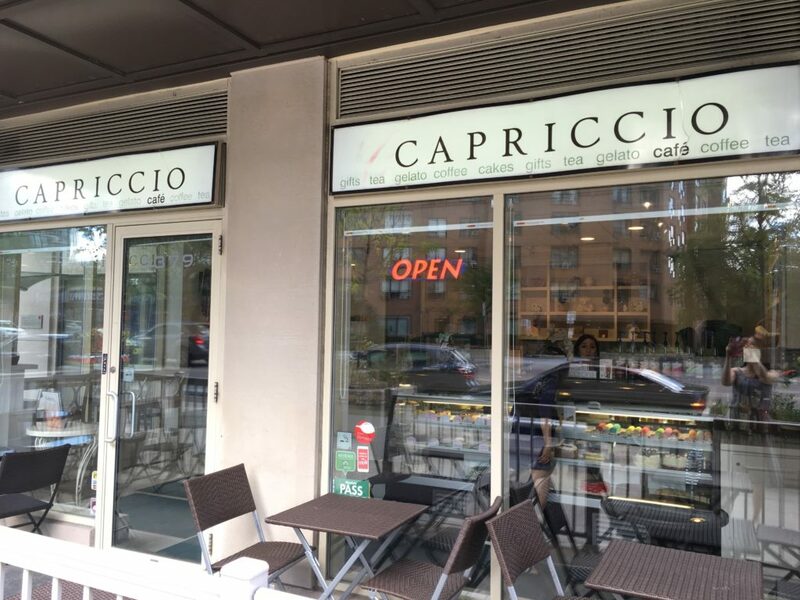 Capriccio Cafe not only serves coffee and tea, but they also serve a selection of gelato with flavours such as cookies and cream and biscotti and coffee, delectable mini cake slices, some baked goods like scones, and also macaron! The cafe seats 30 people including bar seats of people inside and when the weather is nice like it is now, the patio is open (spring summer fall) and it seats 14 people. It mainly caters to smaller groups. You’ll be happy to know that it is open everyday of the year! If you’re in the area or plan on getting together with a girlfriend or two to catch up (or get work done, like me! ), Capriccio Cafe is a great place to do all of the above. 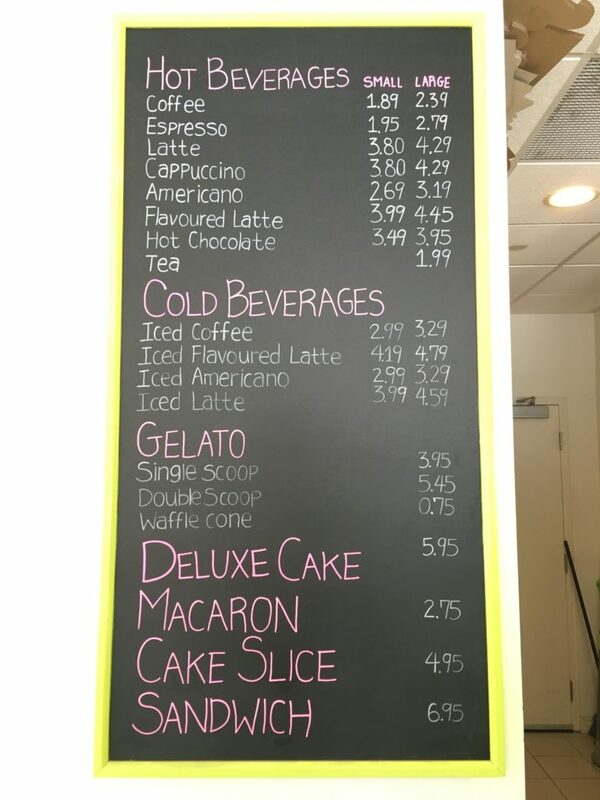 Capriccio Cafe is open everyday at 10:00am, so be sure to get your coffee fix!